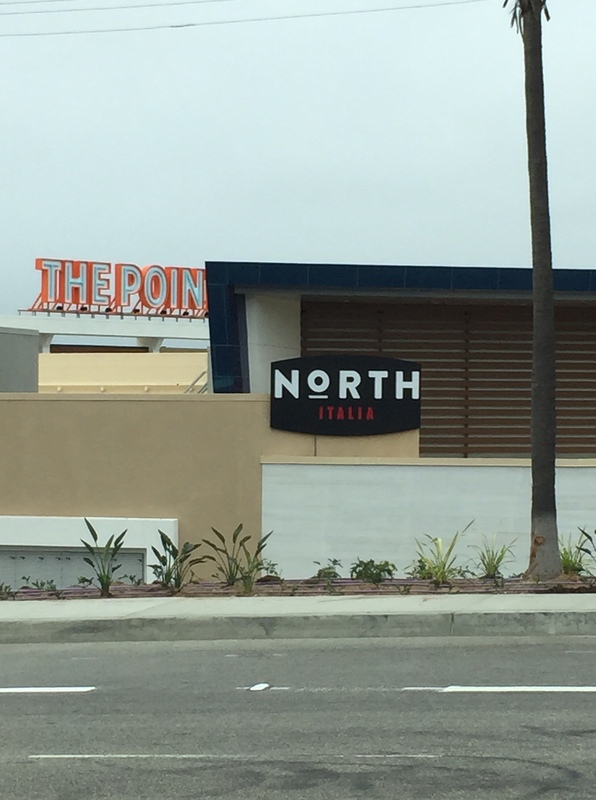 A great many of you have been carefully checking for information ever since I first told you about Santa Monica’s upcoming branch of North Italia, taking over the erstwhile Buca Di Beppo space at 1442 2nd St. in Downtown Santa Monica. You’ll be pleased to know that according to the notice on the door, North Italia will officially throw open its doors on May 30th. We wish them the best of luck. Downtown Santa Monica is a flurry of restaurant activity right now: Wally’s is on the way, as is a new North Italia, and Carlo’s Bake Shop. Add to that list a new “All Day Eatery” going into a defunct jewelry shop at 331 Wilshire Blvd. There’s not much out there yet on The Gables, just an undeveloped website and Facebook page. It looks like they’re shooting for a Fall opening. Update: The Gables opens Wednesday, August 22. Read Eater’s story here. It wasn’t that long ago that I told you that Buca Di Beppo had closed its doors at 1442 2nd St, sparking a conversation about the viability of any restaurant in the pricey and complicated Santa Monica and LA market. Now it looks like another national Italian brand is going to give it a try. A sign is up on the construction plywood at the old Buca space announcing that it will soon be the home of a branch of North Italia. There’s reason to hope that they will have a better run than their predecessor: They know a thing or two about Downtown Santa Monica. Within a block in either direction are two other restaurants from North Italia’s parent company Fox Restaurant Concepts, Flower Child and True Food Kitchen. We wish them the best of luck. It was back in December when I first noticed that Flower Child, one of Fox Restaurant Concepts brands (True Food Kitchen, North Italia), was going to be sharing the renovated Laemmle Theater space at 1332 Second Street in Downtown Santa Monica. Eater told us that June was the projected opening. Now we have a date: According to a spokesperson, Flower Child will begin dispensing good vibes on June 14th. Look for a menu of organic, locally sourced, and additive free, “healthy food for a happy world”. 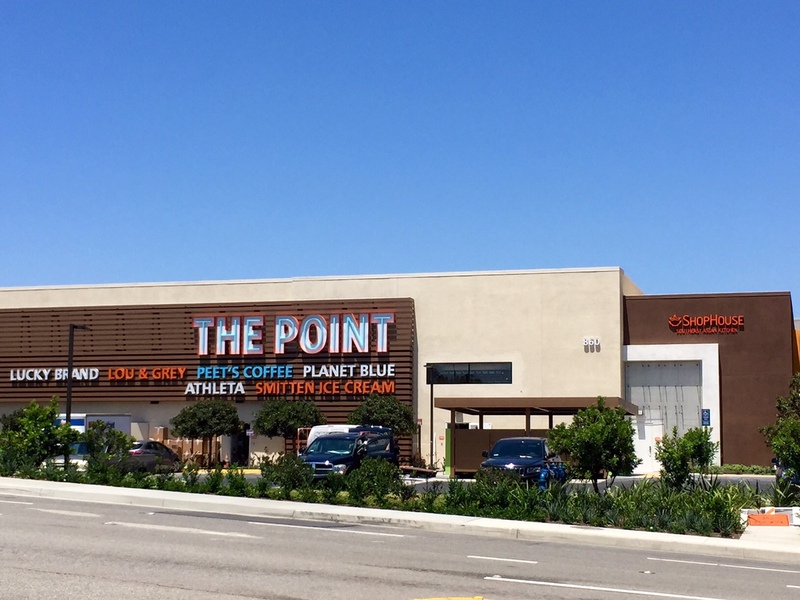 There are a great many of you who read this blog that appear to be very excited about the arrival of the big shopping/dining development The Point, situated on the corner of Rosecrans and Sepulveda in El Segundo (Manhattan Beach adjacent). Much of your attention is focused on the True Food Kitchen (that according to their website is now open), but as I’ve told you before, there are many other eateries on the way as well. I can’t exactly say when all of those restaurants will open (although it looks like most will be open very soon), I can tell you that The Point officially opens this Thursday with a 9:30am complimentary continental breakfast followed by a ribbon cutting ceremony and other activities over the weekend that you can read more about here. Signs have recently gone up at El Segundo’s eagerly awaited massive The Point development heralding the arrival of many new restaurants slated to open this year on the corner of Sepulveda and Rosecrans. As early as September 2014, I figured out that True Food Kitchen was coming, but at least five more new eateries will leave locals spoilt for choice. Check out the full list of coming attractions here. 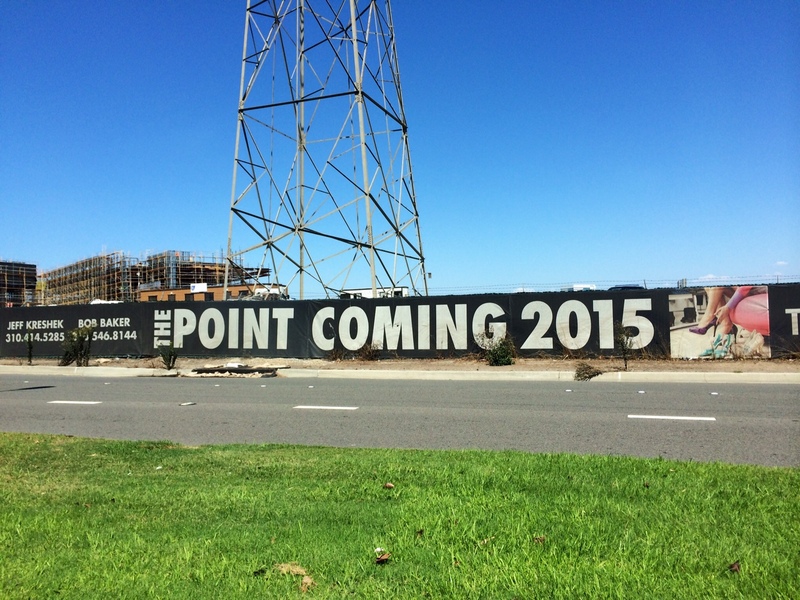 Here’s A List Of Restaurants Coming Soon To The Point In El Segundo. I’ve been watching The Point, the upscale outdoor mall being built on the corner of Sepulveda and Rosecrans in Manhattan Beach/El Segundo. 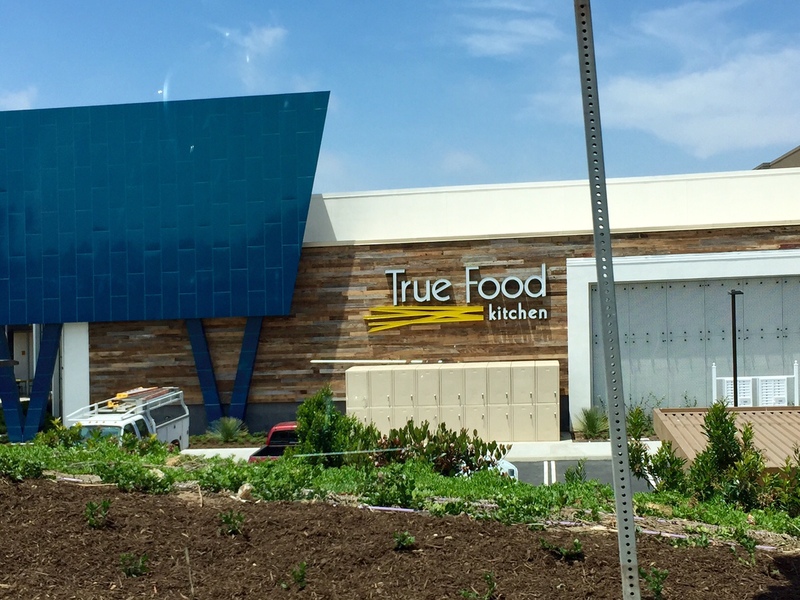 After a little bit of investigation back in September, I told you that True Food Kitchen would be moving into the colossal development in 2015. 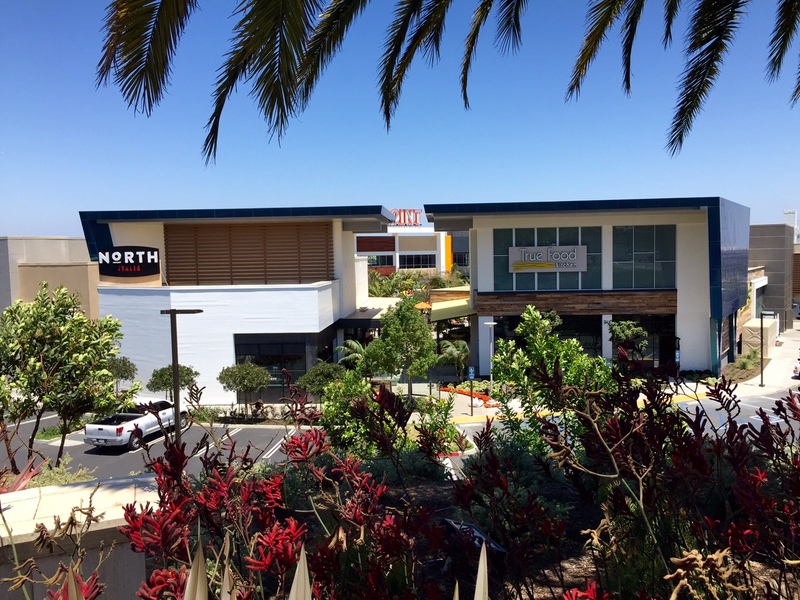 And now comes news, via the LA Times, of the other restaurants that will be on offer: Mendocino Farms, Superba Food & Bread, Shophouse, North Italia (which along with True Food Kitchen is part of the Fox Restaurant Concepts group), and a “restaurant and marketplace” from the founder of Pitfire Artisan Pizza. Look for the openings to begin sometime in 2015.